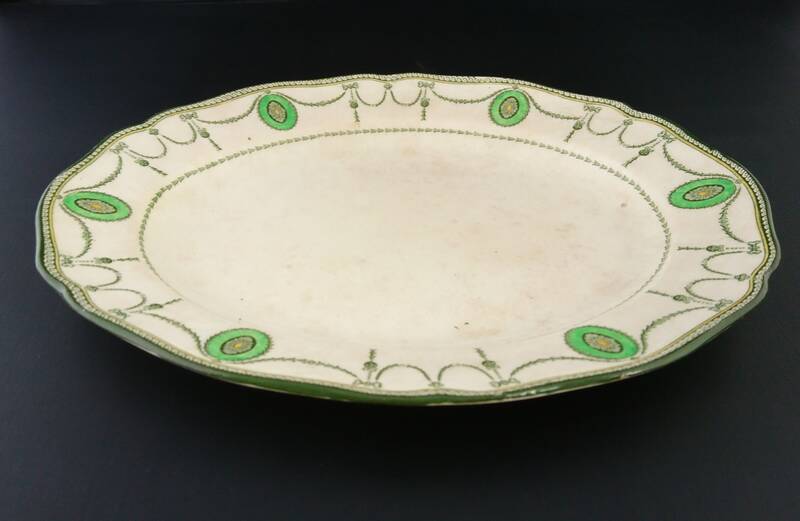 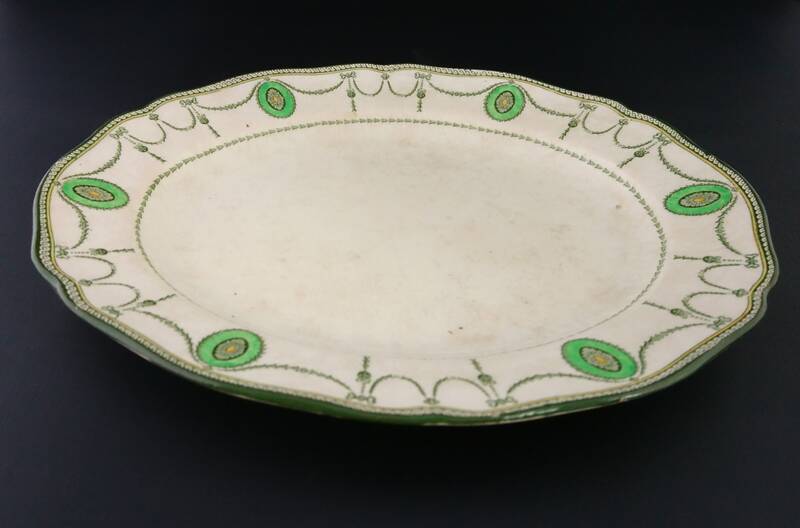 A pretty vintage 1920's serving platter. 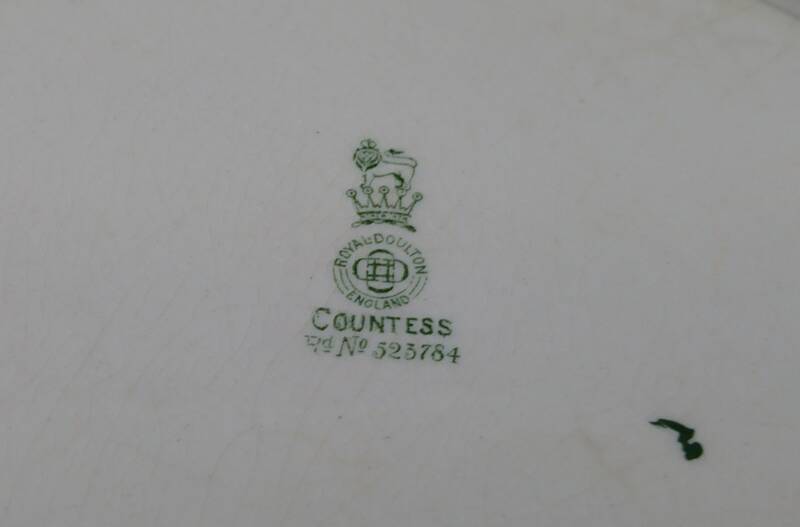 It is a Royal Doulton piece and the pattern is the well known Countess pattern. 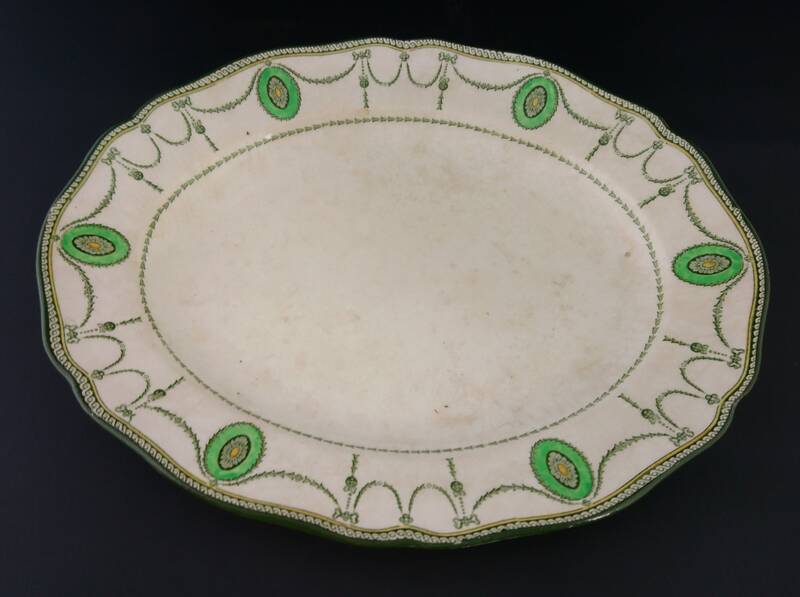 It is based on a warm beige background with elaborate and attractive swags in green. 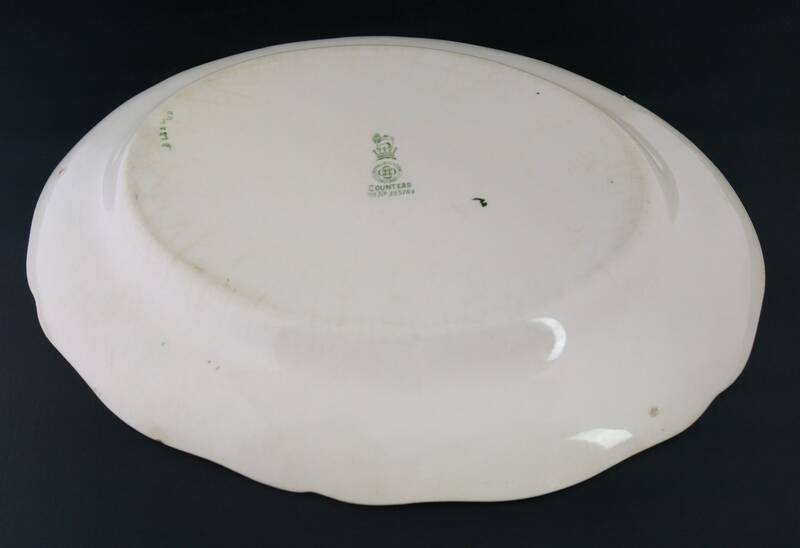 All over crazing, no chips or cracks, marked to the base with makers mark, pattern and reg no.